-Teachers Vow To 'Move Out' Lawmakers With Trucks- WLKY News, Oct. 6, 2018. 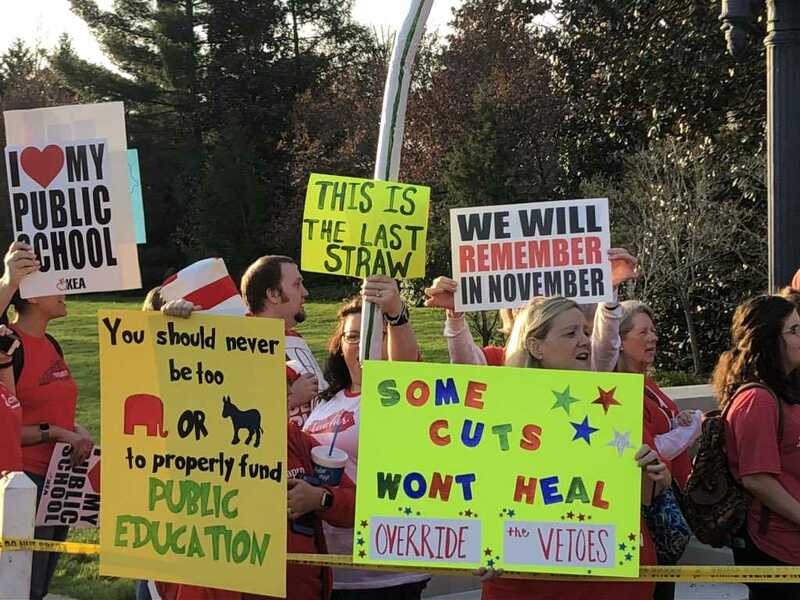 Teachers and state workers once again showed their opposition to state lawmakers who backed a contentious public pension law by driving moving trucks to the Kentucky Capitol and vowing to oust the elected officials come November. The Lexington Herald-Leader reports 14 U-Haul and Budget trucks drove to the Capitol with horns blaring on Saturday. Roughly 100 people attended the "Vote 'Em Out, Move 'Em Out" rally, sponsored by the Kentucky Public Pension Coalition. The Republican-controlled legislature made changes to the state's struggling retirement systems earlier this year. This included moving all new teacher hires into a hybrid plan and limiting how teachers can use sick days to calculate their retirement benefits. The law sparked teachers to not only protest the law but also run for political office against those who supported the measure. How many teachers and public employees in Ky? And 100 showed up for the rally? So what? If 10 people showed that's movement in a good direction. 1. How many teachers and public employees in Ky? And 100 showed up for the rally? 2. So what? If 10 people showed that's movement in a good direction.